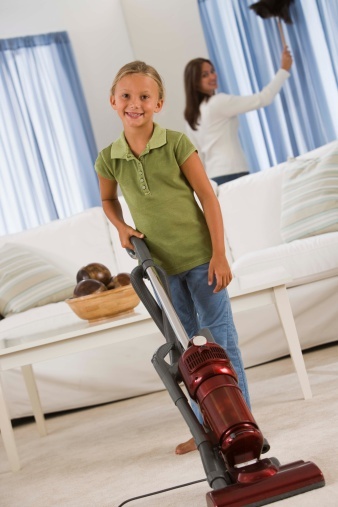 A clogged vacuum cleaner can be the cause of a number of problems. For example, clogged vacuum cleaners may lose all suction and no longer clean any carpets or even bare floors efficiently. According to the Eureka vacuum cleaner owner's guide, clogs in Eureka vacuums are most likely to occur in the hose of the machine. 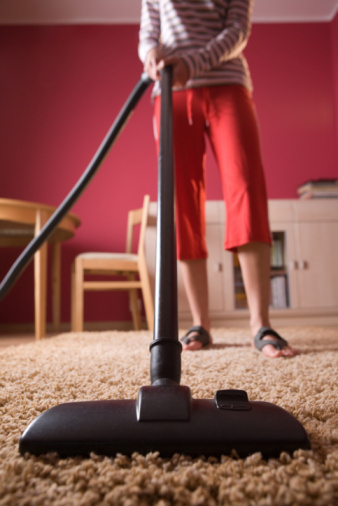 Turn off the vacuum cleaner and ensure that the power cord is unplugged from the wall. Pull the end of the hose from the hose retainer. This is the tube into which the hose is fitted. Remove the other end of the hose from where it connects to the vacuum. This end of the hose needs to be twisted out of its holder until the entire hose is completely separated from the vacuum cleaner. Twist the hose to loosen any clogs. If the clog does not become loose, gently insert the broom handle and push it through until it comes out the other side of the hose. Flex the hose, which will loosen the clog. If the clog does not become loose and fall out of the hose, the base hose will need to be unscrewed. Unscrew the base hose. This is the smaller hose at the base of the vacuum where the brush roller is. Just above the brush roller on the Eureka vacuum cleaner, there are two screws that need to be removed. If there is a clog here, it will be visible and can be removed with your fingers. Place the vacuum on its side and inspect the brush roller for any clogs. If hair or other debris is caught up in the bristles, remove it. Replace hoses and return vacuum to upright position.